It is now that we can understand a portion of the dilemma that is before us. 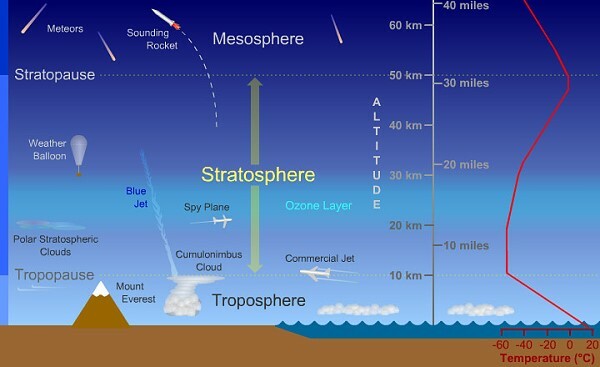 If we accept that aviation is a primary tool that is actively being used to artificially modify the atmosphere, then we know that this is occurring within the troposphere, and not the stratosphere. But we also know, at least as based upon Teller’s models, that stratospheric operations would be required to effect any type of mitigation to global climate warming. Teller also lets us know that long term climate control by aircraft is hardly a preferred method, as it requires specialized performance aircraft and requires continual renewal to maintain its effectiveness. What is known, therefore, is that geoengineering (and bioengineering) operations AS THEY ARE NOW PRACTICED IN THE LOWER ATMOSPHERE, i.e., the troposphere, are not directed and motivated primarily toward climate control, including the purported mitigation of “global warming”.